Share the post "These new smart glasses are taking augmented reality to the next level"
In 2013, the only well-known entrant in the smart glass market was Google Glass. It seemed to be a handy device that had the potential of changing the world with hands-free information and access. Little did we know that come 2015, Google would pull the plug on the developer edition of Google Glass. And that’s when the naysayers took to social media with news about another flop in the vast technological landscape. I remember an online article from one of the first few Google Glass enthusiasts who wrote about how he wore a pair of Google Glass for an entire day in his regular life. He got a lot of stares from onlookers, and many of them were not the assuring kinds. 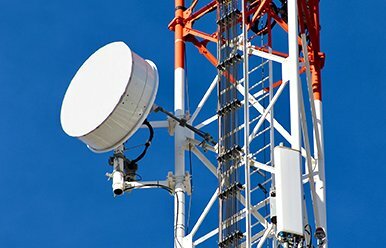 It may seem like 2013 wasn’t that far away, but in terms of technology, it seems like a while ago, what with the pace at which technology has been moving. 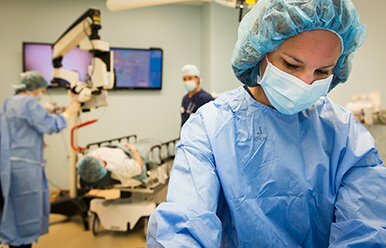 Coming back to the present, the world is far more attuned to invasive devices than ever before, giving smart glasses a much needed boost for all sorts of uses. Still, smart glasses haven’t reached that level yet. But companies are not resting or waiting for the right sentiments. 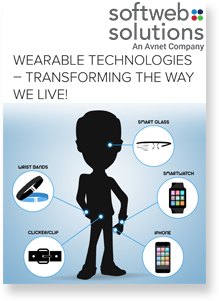 Wearable Technology is considered as the next big thing in information technology because this has already created a new wave in consumer market. Our growing dependency on technology urges further innovations and what happening right now is the extension of what we have achieved so far in terms of technology. The reasons for many companies to adopt smart glasses are plenty. The focus shifts from hands-on information to hands-free information. That alone is a massive benefit. For example, field service technicians can save anywhere from 20% to 30% of their time with the help of a smart glass. 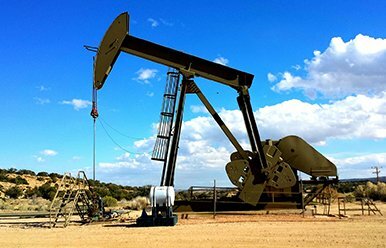 This is due to the seamless availability of information that the field workers need to complete their tasks at the time of carrying out the service. Enterprises can be the best adopters of new technologies because the main focus is on efficiency and not just the visual appeal. Apart from the obvious consumer appeal of these devices, enterprises have been using dedicated eye-wear or headgear to accomplish major tasks. But to develop one such glass only for one business is an expensive affair. This is where the growing market of smart glasses comes into the picture. There are some really cool and useful smart glasses making the rounds now. So let’s take a look at some of the uses of these wearable computers. The biggest impact of smart glasses is already underway in the service sector. Companies are empowering their field service technicians with smart glasses which provide them with the information that is needed, when it is needed. 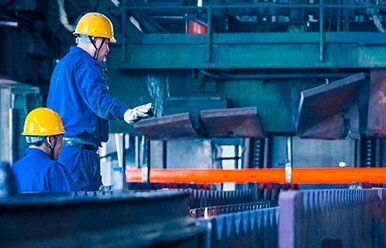 Employees in manufacturing, mining, sanitation, oil field work, construction, mechanical maintenance, warehousing and firefighting are undergoing a major transformation with the way they work. One such case that can be explained is Boeing’s use of augmented reality. The aviation giant has successfully implemented augmented reality into some of their operations. The technician has a complete view of the various connections that go into making certain parts of an aircraft. Previously, this process was carried out with the help of installation guides which would take significant amounts of time. By using smart glasses, Boeing claims to have reduced the work-time by 34%. One of the most widely used smart glasses in the market, the Vuzix M3000 builds on the previous versions of Vuzix smart glasses with advanced waveguide options for hands-free mobile computing. The company claims these to be the world’s most advanced AR smart glasses. 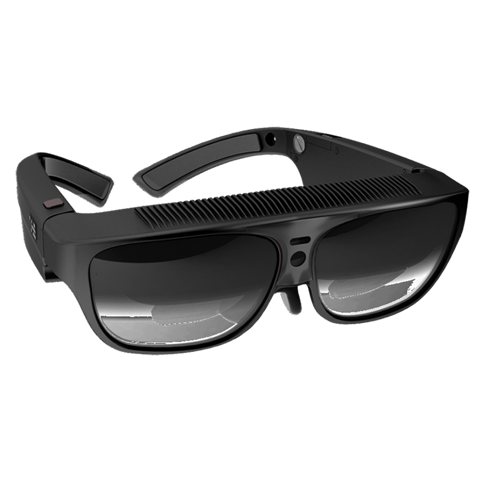 Designed as a wearable computer, ODG smart glasses provide untethered, fully-integrated platform, with ultra-transparent HD stereoscopic 3D displays, redefining the use of AR glasses for enterprise and industrial use. Designed to offer smartphone-grade capabilities in a wearable device, the Recon Jet Pro streamlines workflows and empowers companies right at the worker level. 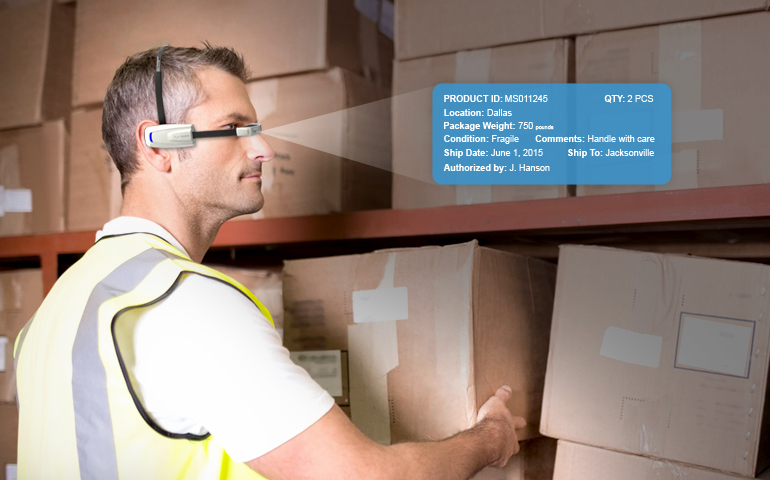 The company claims that using these smart glasses results in significant operational cost savings, and is one of the key constituents of a fully connected workplace. The ORA-2 is a powerful smart glass platform which offers a truly unique wearable computing experience. 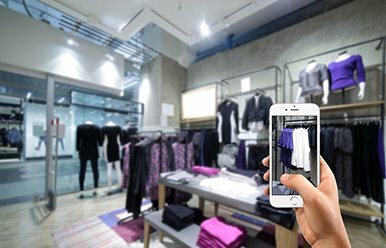 The company’s AR hardware platform is patented and they provide their very own flexible Android SDK to develop apps as per the user’s requirements. Smart glasses are ushering a new era for distance sports like cycling, skiing and running. 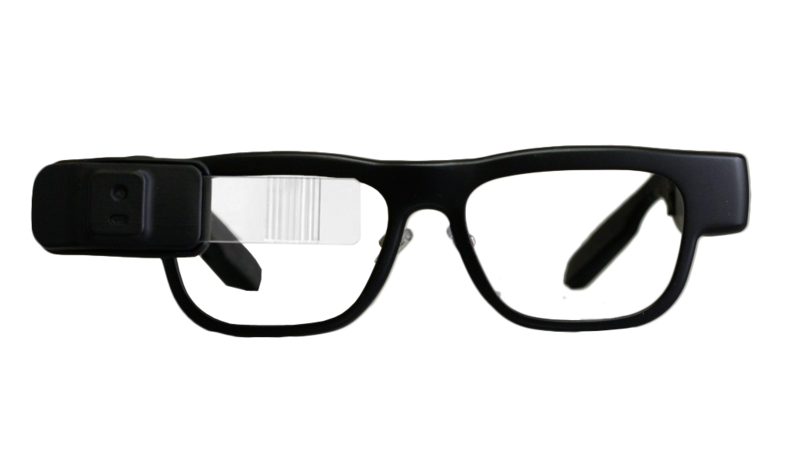 These smart glasses allow the users to navigate their way through the course. They can locate their friends, communicate with each other, share videos and create skiing courses with the easy to use interface. For other sports like football, basketball, soccer, tennis and more, smart glasses can give the fans a far more immersive experience at home or at the stadium. For when smart glasses become as ubiquitous as mobile phones, we can expect a great deal of augmented reality in sport, and other walks of life. Imagine TRON, but real! The RideOn Ski Goggles are specially designed for skiing enthusiasts who sometimes have to deal with treacherous conditions on mountain slopes. The company claims that the RideOn Ski Goggles are just the beginning, that aviation, marine and sailing, gaming industry and more will follow. The Recon Jet is the sports version of the Recon Jet Pro, which we have covered earlier. 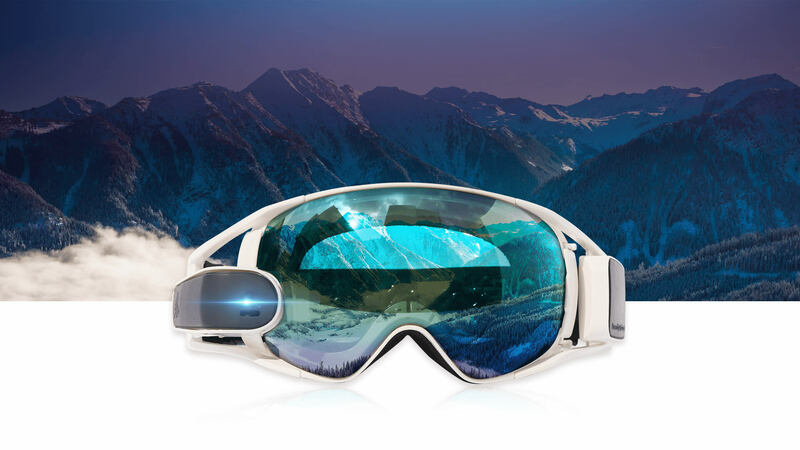 It is specialized for outdoor sports like skiing, cycling and running and provides a full hands-free operation with swipe and voice control, similar to the RideOn Ski Goggles. Let’s take an example of a classic service case from a customer’s perspective. Your car breaks down in the middle of nowhere, far from any auto repair shop. You are not a grease monkey, which means that you are not aware of the technical aspects of the car. In such a scenario, you would ideally have two options – contact a technician or a towing service – and wait for their arrival. With smart glasses, these kind of cases will be easy to deal with. You just contact the service center and through the AR features of the smart glass, allow the technician to diagnose the problem, while you receive guided instructions to resolve the issue. So, unless the identified problem is serious or complicated, the customer, after following the expert’s instructions, will be able to solve the issue with the help of a smart glass. Vufine+ is a wearable display that has the ability to integrate with most technologies. It presents the user with an augmented second monitor for mirrored display. Still at the pre-order stage, Zungle Panther is a sunglass with built-in bone conduction speakers and mic. With Panther, you can listen to music and make phone calls. You won’t need any additional earphones or headphones. Also at the pre-order stage, Vue is the world’s first pair of smart glasses that are designed for everyday use. Offered in prescription, plano, and sunglasses. Detractors might see the reliance on technology as a negative, but the truth is that the skill gap has been increasing significantly. 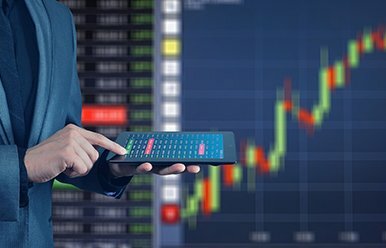 Rather than shoving the workers into learning a series of heavy training processes, giving them tools that make information-seeking faster and easier will allow them to quickly get the job done with higher efficiency.